Complete different tasks where Excel is needed! Spreadsheet Tool 2.0.0 was available as a giveaway on September 23, 2018! 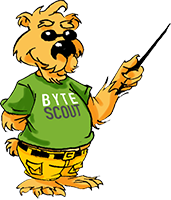 ByteScout Spreadsheet tools help to work with .xls, .xlsx, .csv and .odt documents by editing, writing and calculating, working with tables and much more. You don't need any other tool to be installed. The program works smoothly and independently. Use the activation key to allow your registration and run the program for business purposes. How would you improve Spreadsheet Tool 2.0.0? I would like to try this but can not find out where to put the registration key. Where does it go? I have downloaded and installed but do not know where to put registration key. Libre Office Calc does all of that and more for free. Maria, so does this do it for free since payment is ONLY requested for use in a commercial environment the facilities between the freeware and business license is identical so it's really a free demo program of their PDF conversion SDK in the guise of a giveaway of the day. Hello, I have downloaded and installed the program on my Windows 7 64 bit without a problem, the app works just as advertised, it is a converter just in case you still have doubts about its description, you can import .txt, .csv, .html, etc. to convert to .xls Excel files and vice versa. It does a good job formatting the file in the assigned cells, rows and columns. Of course, this is my appreciation about the software and I will vote it up, my advice to the "description critics", install the software first then launch your opinion. Hello, I have downloaded and installed the program on my Windows 7 64 bit without a problem, the app works just as advertised, it is a converter just in case you still have doubts about its description, you can import .txt, .csv, .html, etc. 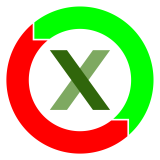 to convert to .xls Excel files and vice versa. It does a good job formatting the file in the assigned cells, rows and columns. Of course, this is my appreciation about the software and I will vote it up, my advice to the "description critics", install the software first then launch your opinion. Man.....install the software first then launch your opinion......to then remove the new program because it does not meet expectations. Well, lacking clear description it is hard to tell if this is an XLS(X) plugin or a spreadsheet alternative or a converter. Excel is a very powerful product, sadly the UI is bad; it is VERY powerful and Very difficult to master well. The description of products here on GAOTD is frequently lacking, but many offerings here have links or include, videos and screenshots to, otherwise, tell their value and story. Lacking both this appears to be an "alternative to" but that is speculation. What would be useful is a spreadsheet that is as powerful as Excel but is easier to use, more intuitive, with a customizable UI to pick the tools we use often and a context sensitive toolbar. If Bytescout does that they should tell us and I am "all in". If Bytescout is just an alternative to other spreadsheets, with lesser functions, which I suspect from the lack of description, I will pass. Therefore my recommendation to Bytescout: go to fiverr.com and hire someone to write your marketing materials, create a 'how-to' video or 2 and show us your UI. Well, lacking clear description it is hard to tell if this is an XLS(X) plugin or a spreadsheet alternative or a converter. Excel is a very powerful product, sadly the UI is bad; it is VERY powerful and Very difficult to master well. The description of products here on GAOTD is frequently lacking, but many offerings here have links or include, videos and screenshots to, otherwise, tell their value and story. Lacking both this appears to be an "alternative to" but that is speculation. What would be useful is a spreadsheet that is as powerful as Excel but is easier to use, more intuitive, with a customizable UI to pick the tools we use often and a context sensitive toolbar. If Bytescout does that they should tell us and I am "all in". If Bytescout is just an alternative to other spreadsheets, with lesser functions, which I suspect from the lack of description, I will pass. Therefore my recommendation to Bytescout: go to fiverr.com and hire someone to write your marketing materials, create a 'how-to' video or 2 and show us your UI. We haven't had any really useful programs from GAOTD in a long while!! drvajra, The good old days of Ashampoo ,Wondershare and other great giveaways seem to be but a memory. Franzis is the exception...apart from its unfathomable registration process. drvajra, The good old days of Ashampoo ,Wondershare and other great giveaways seem to be but a memory. Franzis is the exception...apart from its unfathomable registration process. Oh Well. drvajra, That's a very broad brush and rather harsh opinion! What exactly do you mean by "useful" -- and useful to whom? Others will likely disagree with your opinion! Similarly, what do you mean by "a long while" (days, weeks, months)? 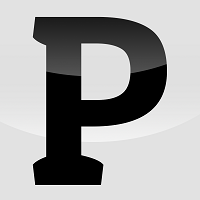 "by editing, writing and calculating, working with tables and much more." The plus: a lot of files can be converted in one session. Ootje, You need to read that again. Mike H, Looked at the text and it not clear to me, what you mean. English is not my standard language. This program should help you to write documents: writing and calculating -> therefore it should edit spreadsheet. Otherwise it is just a previewer, not calculator. I did not see any of these operations. Except print to PDF maybe. Can you give a little more info about this? Mike H, Looked at the text and it not clear to me, what you mean. English is not my standard language. This program should help you to write documents: writing and calculating -> therefore it should edit spreadsheet. Otherwise it is just a previewer, not calculator. Also on the site of the developer: *** You can <b>calculate</b> any kind of information inside the Excel charts; You can work with tables and diagrams; You don’t need any other program or extension – the tool is complete; You can <b>write and edit</b> your .xls and .xlsx documents smoothly; Print Excel documents; *** I did not see any of these operations. Except print to PDF maybe. Can you give a little more info about this? That's what Excel already does, and any other spreadsheet! The website for this software doesn't give any more description of what this software is for. 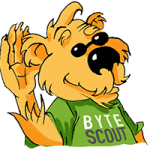 The person behind ByteScout is no doubt a sheer genius programmer, but woefully lacking in communication skills. "by editing, writing and calculating, working with tables and much more." That's what Excel already does, and any other spreadsheet! The website for this software doesn't give any more description of what this software is for. 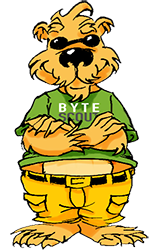 The person behind ByteScout is no doubt a sheer genius programmer, but woefully lacking in communication skills. Bruce, .....communication skills......That's not it. Create as much confusion as possible and do not say anything that this program can or can not do. Trying it, I found it to be a file converter. It converts non-spreadsheet files into MS Excel formats and/or Excel formats into .txt, .csv, .html, .etc. An all in one package for conversion of individual files or folders. Working on individual files, it's seems to work pretty well. 4 different browsers and each time i click on "download now"
Sorry, the page you're looking for isn't here. Maybe you've clicked on an obsolete link or mistyped the URL, or maybe it's just us. Karen, any unusual proxy or vpn configurations? Or any commonality between the 3 machines? like ISP or same versions of windows. Are you obtaining the download link via personalised email link? Do all three computers use same email client? So many variables need complex differential diagnosis to rule out problems with your configuration and definiatively blame GAOTD server problems. TK, we've recently begun using 4G LTE wifi? ".odt" ??? and not ".ods" ?? If they don't know the difference in these two filetypes, I'm not sure how I would trust the program. (od=Open Document, t=text, s=spreadsheet). Cannot install this even with internet security paused. Looked for this on their website (in case that and GOTD key would work) but couldn't find this version. It's too much hassle with Windows 10 to try a safe boot install so I'll give it a miss. I've been using Apache Open Office for years. It is completely compatible with MS Office and it's 100% free. I work on documents that were created with MS Office and others with MS office work on my documents. I use it for Spreadsheet and Documents and the files are Excel and Word compatible. There is a Presentation program that is compatible with Power Point. Did I mention that it is 100% free all the time? Sorry, it is right at the foot of the column, alphabetically out of order but there is no real pricing information. The URL below is actually on the GAOTD page. I prefer the original Office from MS. You can get it via company, school, university, internet for very less money and no program is better. Many thanks for this offer. I prefer the original Office from MS. You can get it via company, school, university, internet for very less money and no program is better. Many thanks for this offer. If this is the SDK, that's $10 on their website (not $19.99). There is nothing I can see called "Spreadsheet Tool".